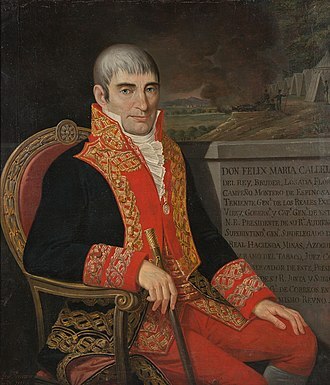 By that time, the tide of the wars of independence in South America had turned decisively against Spain: Simón Bolívar's victory at the Battle of Boyacá (August 7, 1819) had sealed the independence of the former Viceroyalty of Nueva Granada, while to the south, José de San Martín, having landed with his army on the Peruvian coast in September 1820, was preparing the campaign for the independence of the Viceroyalty of Perú. By February 1821, Guayaquil began to receive reinforcements, weapons and supplies, sent by Simón Bolívar, President of the fledgling Republic of Colombia. In May of that year, Brigadier General Antonio José de Sucre, Commander in Chief of the Southern Division of the Colombian Army and Bolívar's most trusted military subordinate, came to Guayaquil. He was to take overall command of the new Patriot army, and begin operations aimed at the liberation of Quito and the entire territory of the Real Audiencia de Quito. Bolívar's ultimate political goal was the incorporation of all the provinces of the Real Audiencia into Colombia, including Guayaquil, still undecided whether to join Perú or Colombia, and with a strong current of opinion in favour of setting up its own republic. Time was of the essence, as it was vital to force the issue before General José de San Martín, still fighting in Perú, could come up to bring forward any Peruvian claims to the important port-city. Nevertheless, Melchor Aymerich had an ace up his sleeve, so to speak. During the march up Pichincha, he had detached his crack Aragón battalion from his main force, ordering it to make for the top of the volcano, so as to fall upon the rear of the Patriots when the time came, and break their lines. 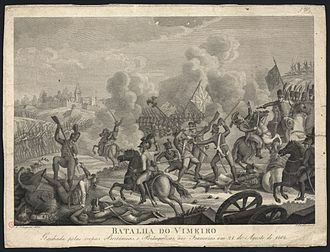 The Aragón battalion — a veteran Spaniard unit that had seen plenty of action both during the Peninsular War and in South America — was now above the Patriots. As luck would have it, just as it was about to charge down onto the faltering Patriot line, it was stopped dead in its tracks by the English, Scots and Irish veterans of Albión, which made a surprise entry into the battle. As it was, the Albión had actually advanced to a position higher than the Spaniards. 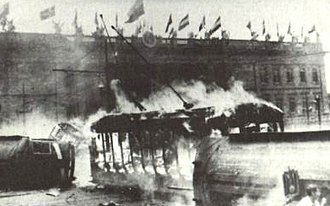 Soon, the Magdalena battalion joined in the fight, and the Aragón, after suffering heavy losses, was put out of action. The Colombians from the Magdalena then went up to the line to replace the Paya, which was forced to pull back, and charged upon the Royalist line, which was finally broken. 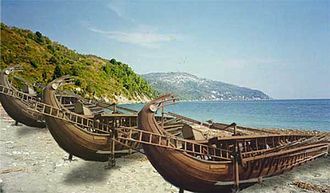 At midday, Aymerich ordered the retreat. The Royalist army, now disorganized and exhausted, retreated down the slopes of Pichincha towards Quito. Although some units descended to Quito in disarray, harassed by the Magdalena battalion charging after them, others retreated in orderly fashion. The Colombians reached the outer limits of Quito, but did not go any further, acting on orders from their commanding officer who prudently decided against letting his soldiers enter the city. Thus, the Battle of Pichincha had ended. From the moment of first contact to the order of retreat, it had lasted no more than three hours. 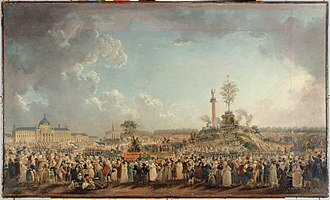 The area where the battle took place has now a large monument and a Champ de Mars (Parade grounds) and a museum and is called colloquially "La Cima de la Libertad" (The Summit of Liberty). A military parade is held on that spot every May 24 to mark Armed Forces Day and the victory of the liberation forces. 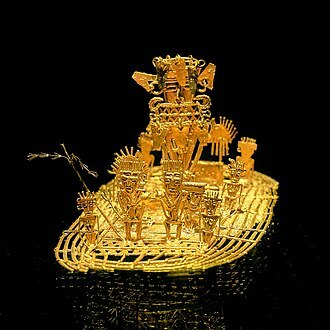 It was created by Royal Decree on 29 August 1563 by Philip II of Spain in the city of Guadalajara. It ended in 1822 with the incorporation of the area into the Republic of Gran Colombia, the Audiencia was effectively autonomous because the Viceroyal government was too far away to administer its territories effectively. Initially the Audiencia of Quito formed part of the Viceroyalty of Peru, the Audiencia was part of a newly created Viceroyalty of Nueva Granada. This Viceroyalty was temporarily suppressed by the King of Spain in 1723, in 1739, the Viceroyalty of Nueva Granada was re-established and the Audiencia of Quito was returned to it until it declared itself independent from Spain. A year the King of Spain passed the Real Cedula of 1740 where the borders of the Audiencia of Quito would be closer to 4° south of the Equator. 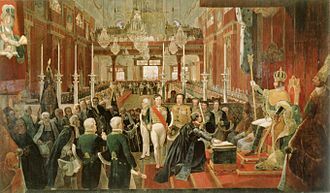 The Audiencia of Quito briefly became independent for 3 years after it staged the Quito revolution in 1809, was annexed again to the Spanish Empire in 1812. 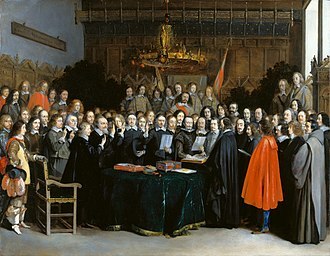 The Audiencia of Quito was liberated again in 1822 and formerly joined the territories of what is today Venezuela and Panama to form the Republic of Colombia. Hispanic America, more generally called Spanish America, is the region comprising the Spanish-speaking nations in the Americas. These countries have significant commonalities with other and with Spain. In all of these countries, Spanish is the language, sometimes sharing official status with one or more indigenous languages. Catholic Christianity is the predominant religion, Hispanic America is sometimes grouped together with Brazil under the term Ibero-America, meaning those countries in the Americas with cultural roots in the Iberian Peninsula. Hispanic America contrasts with Latin America, which not only Hispanic America. Hispanic America became the part of the vast Spanish Empire. 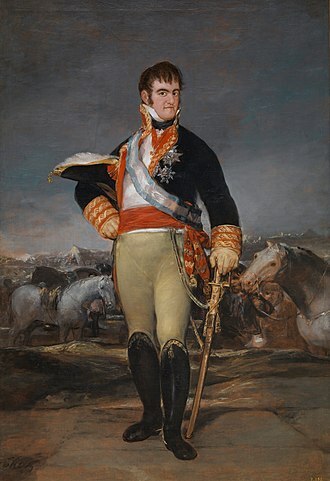 Napoleons takeover of Spain in 1808 and the consequent chaos initiated the dismemberment of the Spanish Empire, by 1830, the only remaining Spanish American and Asian territories were Philippine archipelago and the islands of Cuba and Puerto Rico, until the 1898 Spanish–American War. While relatively unknown, there is a flag representing the countries of Spanish America, its people, history and it was created in October 1933 by Ángel Camblor, captain of the Uruguayan army. The British Legion or British Legions were foreign volunteer units that fought under Simón Bolívar against Spain for the independence of Colombia, Venezuela and Peru. Venezuelans generally called them the Albion Legion, Volunteers in the British Legion were motivated by a combination of both genuine political motives and mercenary motives. Their greatest achievements were at Boyacá, and Pichincha and they took part of the last major campaign of the Independence wars, culminating in the Battle of Ayacucho in Peru, which marked the end of the Spanish rule in South America. The British Legions fought until the end of the wars, their number much depleted, in March 1819, Bolivar combined most of his foreign volunteers into a brigade of 250 men named the British Legions, with James Rooke as commander. The British Legions consisted of the 1st British Legion led by Colonel James Towers English, the 2nd British Legion led by Colonel John Blossett, the British Legions were an important part of Bolívars army. Nonetheless, for a time they were largely forgotten to history. The motivations of volunteers for the British Legions were mixed, many Britons were still concerned by the threat that Spain, as a restored world power, potentially posed to Britain. Despite Spain and Britain having been allies in the Peninsular War just a few years before, Volunteers were motivated by the liberal propaganda of Bolívars supporters that portrayed the war as bringing freedom and rights to people under Spanish tyranny. At the end of the Napoleonic Wars the British Empire no longer required a standing army. 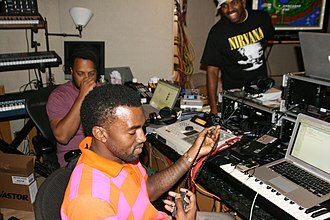 In April 1817, The Times calculated that there were 500,000 ex-soldiers in a British population of 25 million, South Americas wars of independence provided many of them with an opportunity to continue their military careers and escape from the prospect of inactivity and poverty at home. Spanish American wars of independence Latin American wars of independence James Towers English John Blossett Brown, adventuring through Spanish Colonies, Simón Bolívar, Foreign Mercenaries and the Birth of New Nations. Latacunga is a plateau town of Ecuador, capital of the Cotopaxi Province,89 km south of Quito, near the confluence of the Alaquez and Cutuchi rivers to form the Patate, the headstream of the Pastaza. At the time of census 2010 Latacunga had 98,355 inhabitants, largely mestizo, Latacunga took its independence from Spain on November 11,1820. Latacunga is an hour and half south from Quito on the Pan-American Highway and it was previously on the old road from Quito to Guayaquil, and has a railway station between those cities. It is 9,055 ft. above sea level and its climate is cold and windy, due to the neighboring snowclad heights, and the barren, pumice-covered tableland on which it stands. The active volcano Cotopaxi is only 25 km. away, founded in 1534, it was four times destroyed by earthquakes between 1698 and 1798. 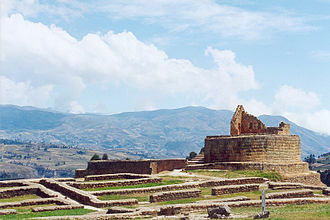 The neighboring ruins of a native town are said to date from the Incas Empire. Latacungas most noted food is chugchucaras, plantains and tostado Often mixed with ají, the Latacunga economy is dependent on agriculture, and floriculture. It has an airport, the Cotopaxi International Airport, that is not used for international passenger use. 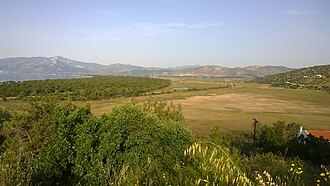 The airplane scene in the film Maria Full of Grace was filmed out of the Latacunga airport using local extras, the landscape seen from the plane is the area surrounding Latacunga. La Fiesta de la Mama Negra is a well known festival in Latacunga. 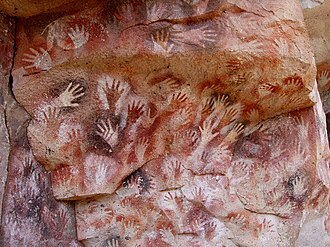 It is a mixture of indigenous and African influences and it takes place twice a year. The first one was organized in September by the people from the markets La Merced y Del Salto in honor of the Virgen de la Merced, the Virgin is venerated because she stopped the Cotopaxi Volcano eruption in 1742. That is the reason why Latacungas inhabitants call her “Abogada y patrona del volcan” meaning, the second celebration is a party which all Latacunga’s inhabitants celebrate every year on Independence Day. It is a parade with the participation of people, the army, clergy. Both of these include a lengthy parade of various cultural characters. The mama negra is the last person to pass through, which is the culmination of each parade and it is a person with their face painted in black, riding a horse, and spraying the crowd with milk. Ambato is a city located in the central Andean valley of Ecuador. Lying on the banks of the Ambato River, the city sits beneath several tall mountains and it is the capital of the province of Tungurahua, at an elevation of 2,577 meters above sea level. It is variously nicknamed City of Flowers and Fruit, Cradle of the Three Juans, inhabitants of Ambato are called Ambateños, Guaytambos or Patojos. 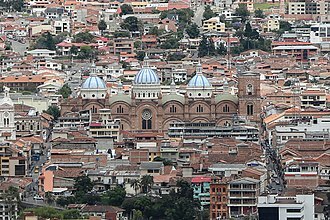 The current mayor of Ambato is Luis Amoroso, the city has been fully or partially destroyed by earthquakes several times in its history, most recently on 5 August 1949 when the city and its cathedral were almost completely levelled. The city was rebuilt in the two years following, in honour of the tenacity of the resident Ambateños, the city celebrates the Festival of Fruits and Flowers during Carnival in February. Today, the Festival of Fruits and Flowers is one of the most important in Ecuador, the city is well known for its production of fruit, food products and textiles. It serves as a transportation hub, especially for travelers moving south on the Pan-American Highway. The city of Ambato was founded in its present location on 6 December 1698 as the Seat of Ambato, for the next century, Ambato grew slowly into an important mountain center. 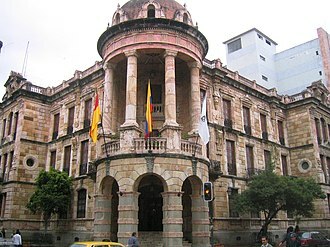 The city was to play a role in the Ecuadorian War of Independence. 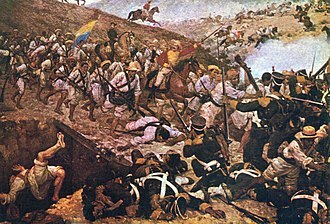 On 9 October 1820, the citizens of Guayaquil, along with help from a number of Venezuelans and Colombians, the group raised an army, and began to move against Spanish forcesss in Quito. 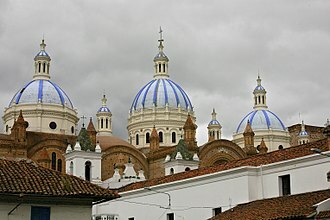 On their way to Quito, Ambato was one of the first cities liberated, the city formally declared its separation from Spain on 12 November 1820. After liberating Ambato, the Junta de Guayaquil turned their attention to Quito, field-Marshal Melchor Aymerich, acting President and commander of the Royalist army took swift action and ordered forces to march on the Urdanetas army stationed in Ambato. Urdanetas army met the Royalists, led by Colonel Francisco Gonzaelz at the First Battle of Huachi just outside Ambato on 22 November 1820 and were soundly defeated. Urdeneta retreated and Gonzalez entered Ambato A year later, the patriots, under Antonio José de Sucre. Surrender at Ayacucho (Daniel Hernández). Death of Antonio José de Sucre by Arturo Michelena. On Mondays, vendors and buyers crowd streets and markets in Ambato. Sculpture (wood) of Saint Anthony of Padua (17th century) Museum of the Concepción. Panoramic, Galeras Volcano at sunset from the main square. La Cocha is a lake in the Andes mountains, in the South of Colombia. It is 2.800 meters over the sea level. Buildings in Puerto Santa Ana. Rifle regiments were decisive in campaigns of Bolívar. Monument honouring the British Legions at the Bridge of Boyacá. The main plaza in Saraguro.